Yesterday we had our first planning meeting for 2015. 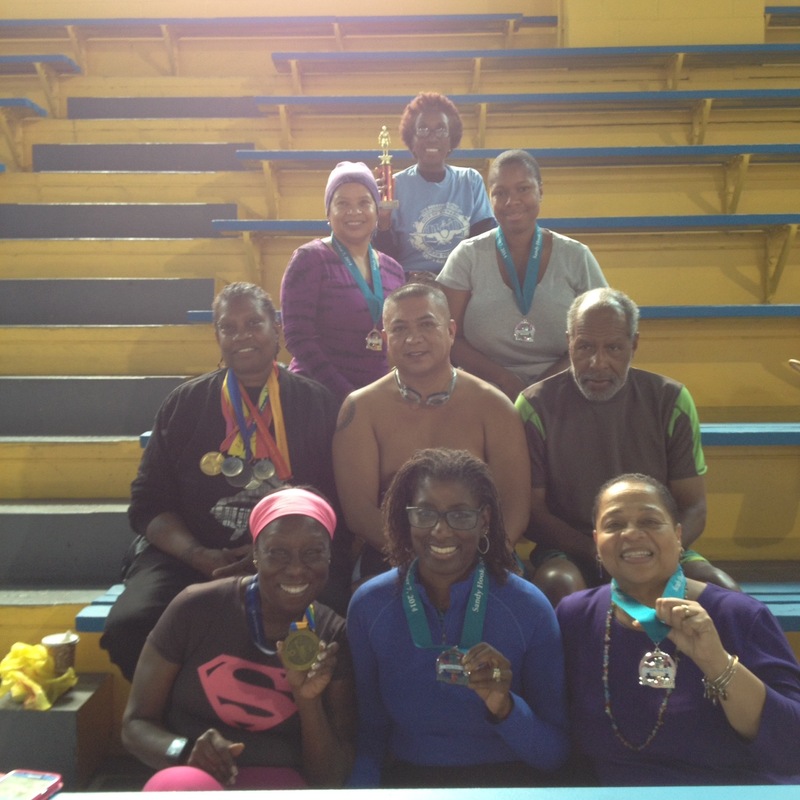 Took pictures of our 2014 medals (Roz Kelley in the pink with her New York Marathon medal) and made lots of swim and triathlon training plans too. We have lofty goals and invite you to join us at JFK pool in Newark, New Jersey. Brick City Masterswim is calling!. Posted on November 9, 2014, in Moving Forward, swim, triathlon and tagged 2015, medals, New York Marathon, triathlon. Bookmark the permalink. Leave a comment.